A set with climate and light restrictions, a million fragile, valuable props and a script that calls for audience participation? It’s a mix that would challenge any theatre maker. Participatory theatre is of course in the Blahs’ DNA. But with all these other elements, our next production will be, quite literally, a journey of discovery. We’re working with Leeds Museums and Galleries to create a site-specific production to be performed at Leeds Discovery Centre. 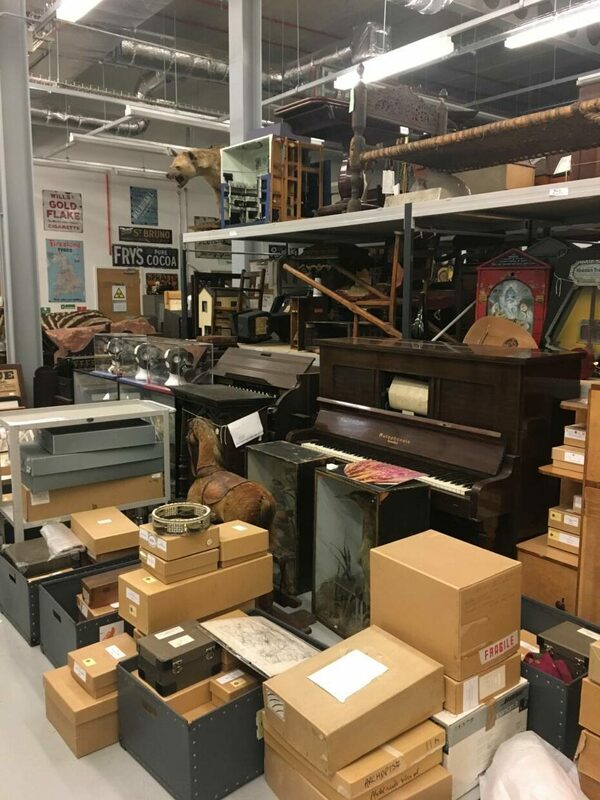 The Discovery Centre is a permanent collection facility, housing the treasure trove of artefacts which are not on permanent display at Leeds Museums and Galleries. Since the start of the year, the Blahs have been in research and development with the Discovery Centre’s curators. Artistic Director Deborah Pakkar-Hull acknowledges that the idea of a theatrical performance in a museum archive has caused head-scratching on both sides. Devising a piece based on just one of the many stories behind the artefacts would be the easy option. 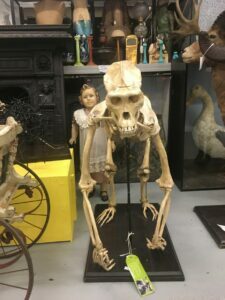 But both the Blahs team and the curatorial staff are clear that such a narrow focus would be a disservice to the scope and significance of the collection. So the challenge for Deborah, and scriptwriter Mary Cooper, is how to create a coherent narrative, combining the stories of different artefacts, and making them interact with each other. 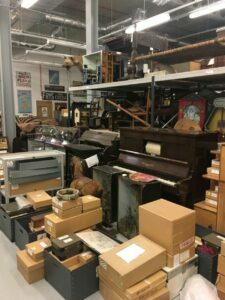 “The Discovery Centre’s collection is the story of Leeds going out into the world, but also the story of the world coming back to Leeds” says Adam Jaffer, Curator of World Cultures. And exploring the city’s many and varied connections with the wider world is a theme Deborah is keen to develop. What is of value? And who gets to decide? A tentative plot outline has emerged from the R&D process. 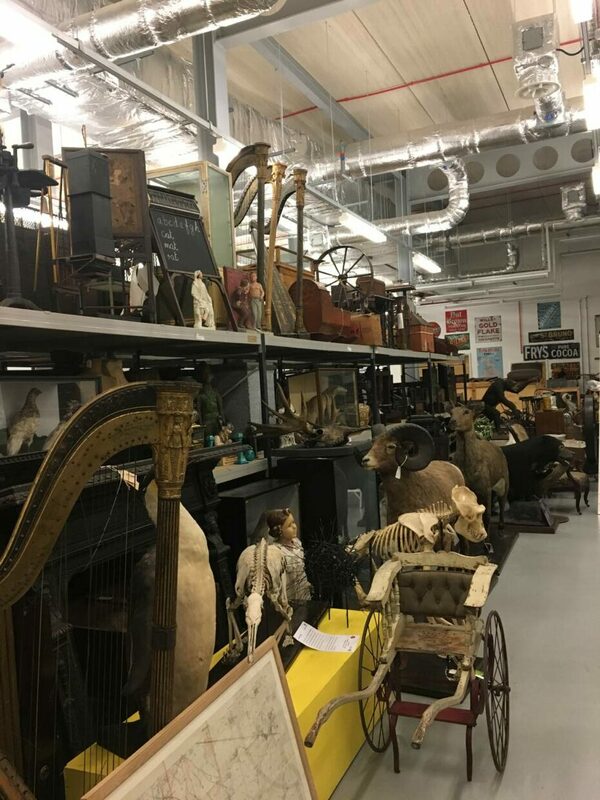 “We are looking at the idea of some kind of crisis that has caused a need to rationalise or reduce the collection, which sets up an imperative where the audience will have to choose what to keep, based on what they consider has worth, or value,” says Deborah. Scriptwriter Mary Cooper has worked with the Blahs over a number of years, most recently providing script-writing support during our recent project with Nameless Theatre Company at Heckmondwike Grammar School. The Blahs’ creative team for the Discovery Centre project also includes Hannah Sibai who designed The Vultures’ Song, Lou Clark of Libellule Theatre, and Simone Lewis who has performed in both A Tale to Tell and The Vultures’ Song. Our aim is that the piece will be performed in 2020, tying in with Leeds Museums and Galleries’ bicentennial celebrations. It will be aimed at single-class audiences, from the KS2 age group, but the Blahs and Discovery Centre staff are looking at ways to reach wider audiences, through the Museums and Galleries Family Engagement programme and through inviting community groups into the Discovery Centre.